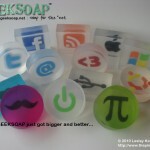 GEEKSOAP just got bigger AND better? You heard right! 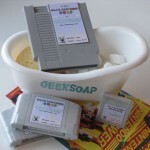 As I mentioned in my previous blog post, I had been toying with the idea of upgrading my soap molds to produce bigger and better GEEKSOAP bars for a bit. 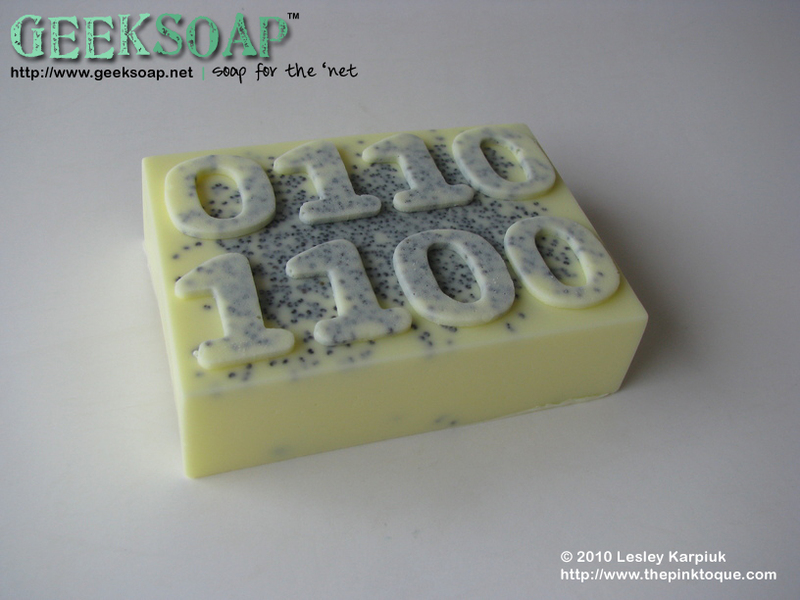 Â After a little work, I found that the new molds produce more ounces of pure geeky goodness per bar and I’m really happy with the results of this weekend’s experimentation. 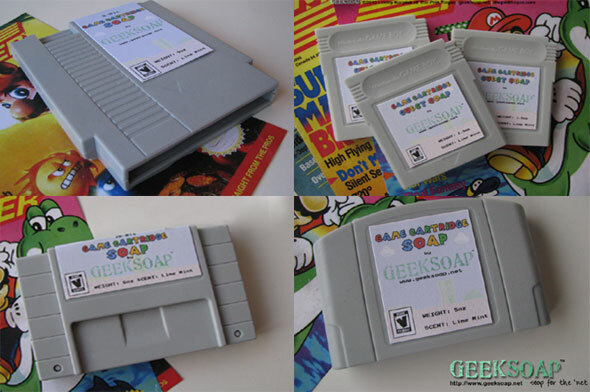 So much so, that GEEKSOAP has officially had a facelift! While the old bars were fantastic at 3 oz each, the NEW bars are even better at a whopping 5 oz each, and depending on shape, some are even as big as 6.5 oz each! That’s more than double the weight of the old bars! 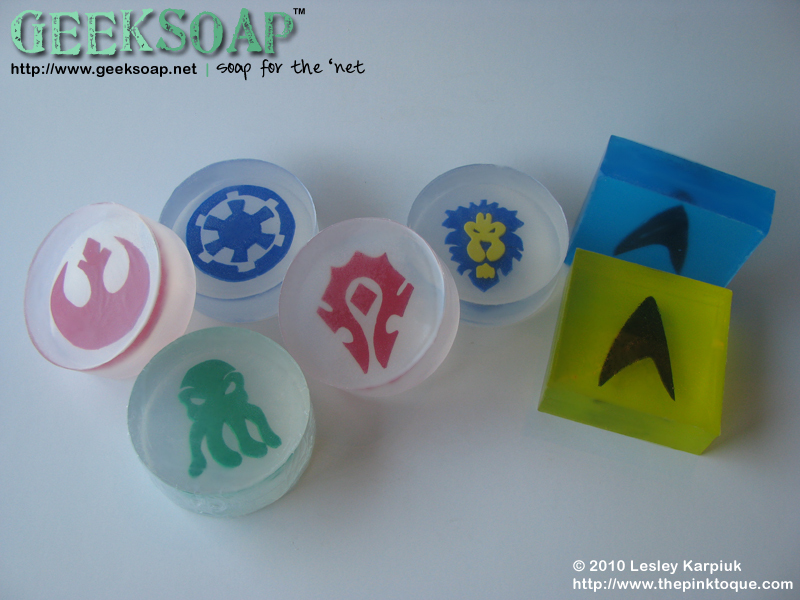 So this weekend I was hard at work remaking all the major soaps in the GEEKSOAP line using the new molds. 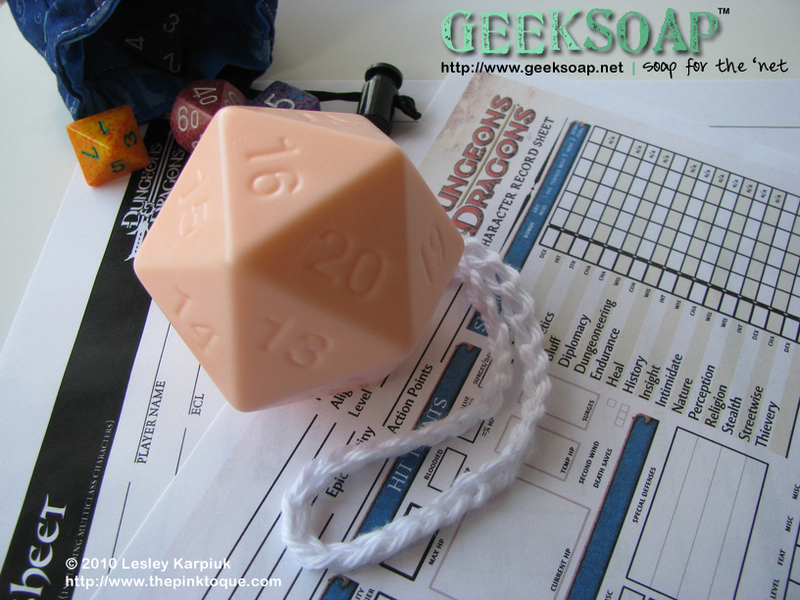 Never fear, though, the geeky designs inside have NOT changed except to be a little bigger so as to fit better in their new dimensions. The results were pure perfection, as you can see in the photo. 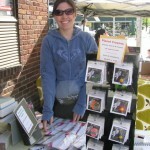 I photographed all of the new bars and updated my Etsy Shop listings to reflect the changes. Now what do you suppose I should do with any of the old bar style stock I have lying around my house? 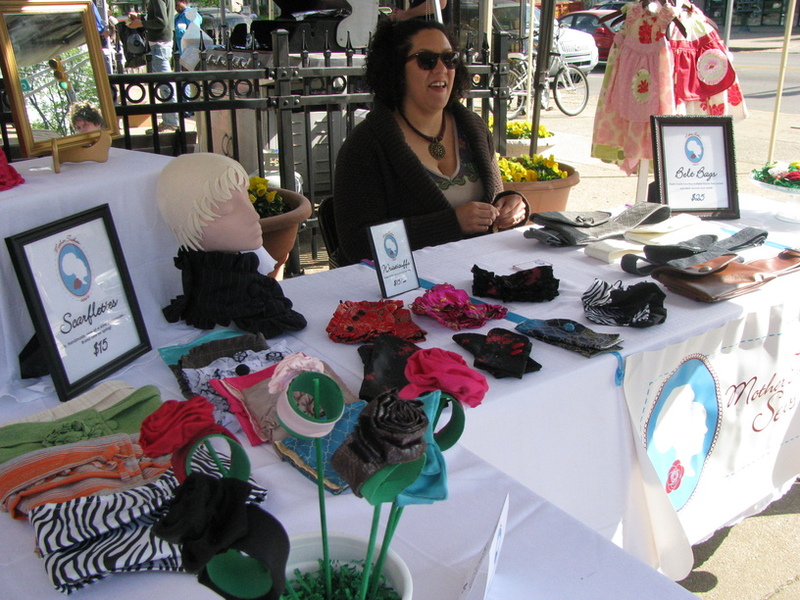 HAVE A SALE, OF COURSE! Hurry on over to the On Sale section of my Etsy Shop to see all of the smaller bars of GEEKSOAP that I have on sale to help clear space for new bars, while supplies last! 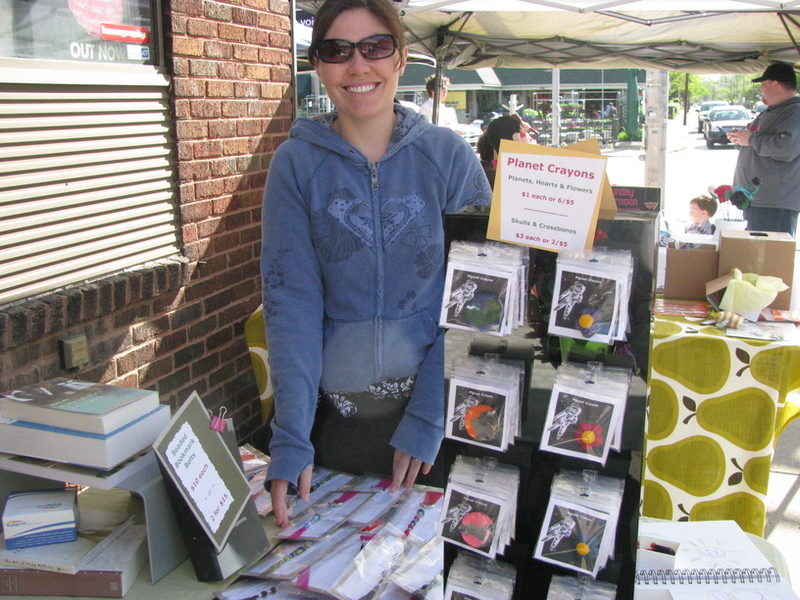 I can’t promise they’ll last long, though… four bars have sold today already! 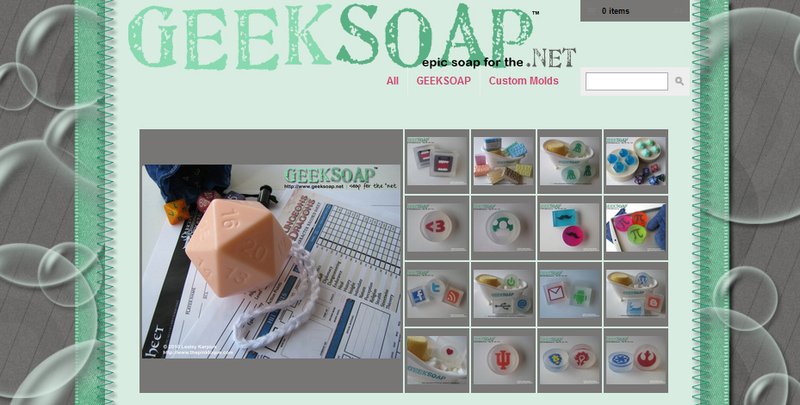 GEEKSOAP is not the only thing around here that got a facelift this weekend, though. 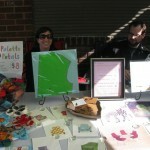 You may also have noticed that the craft blog has been moved to be housed here on the portfolio site domain, www.THEpinktoque.com. 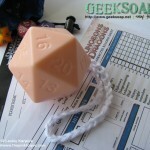 Â This will be the craft blog’s new home, and while we are working to have redirects set up to send those who have the old craft blog links to us over here, I will not continue to update over on the old domain so be sure to update your bookmarks if you haven’t noticed the change! 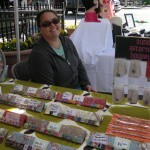 Moving the craft blog over to THEpinktoque.com has allowed me to consolidate all of my crafty goodness in one place. 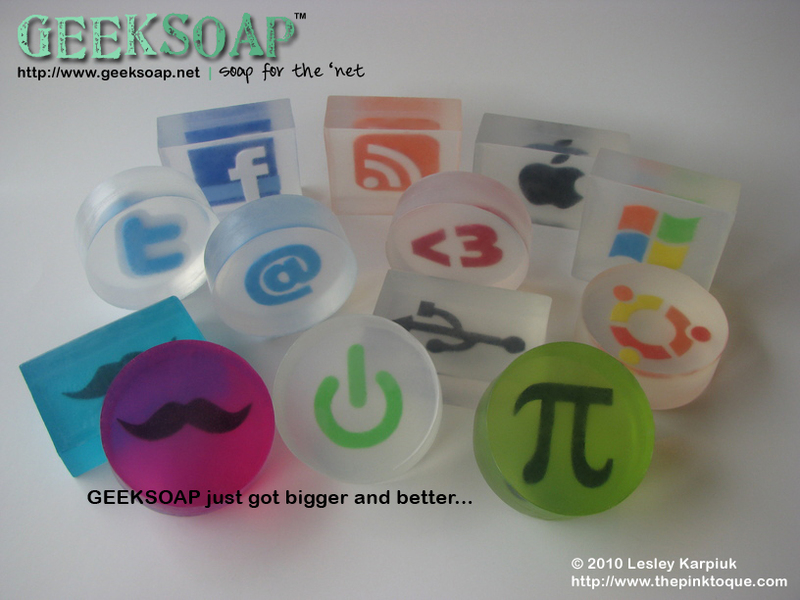 To celebrate GEEKSOAP’s facelift and the blog move to the new domain, I’ll be putting together a contest to give away some free GEEKSOAP later this week. 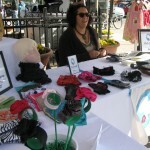 I hope to time it with a new design I’ve been hard at work trying to create and cannot wait to release! 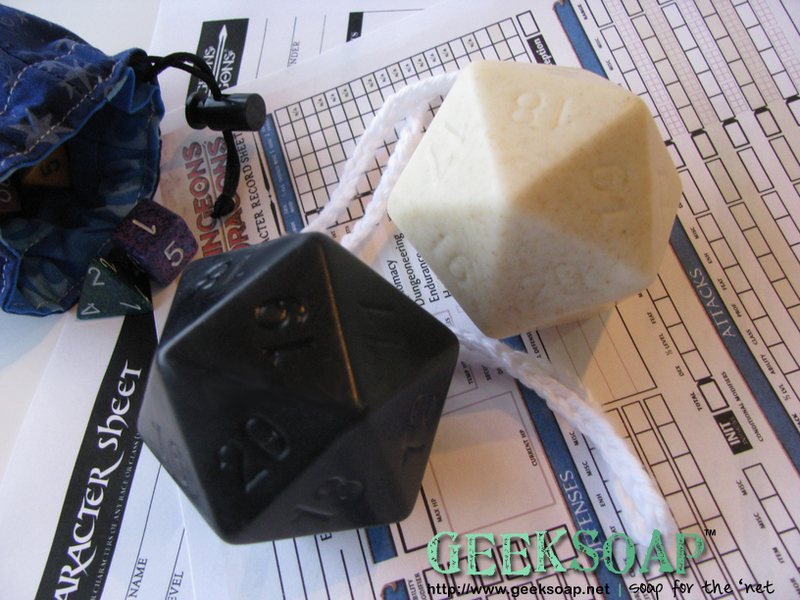 I think you’ll love what’s in store for TPT and GEEKSOAP! 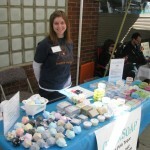 Thank you to all of those who have purchased GEEKSOAP and my other handmade wares on Etsy so far – I truly appreciate your business and hope that the consolidation of my crafty work and blog in one place will make it easier for me to concentrate on continuing to create the very best in handmade goods for you. Happy weekend, readers! 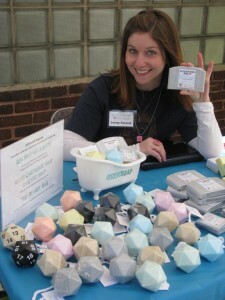 I’ve got so much to update about! 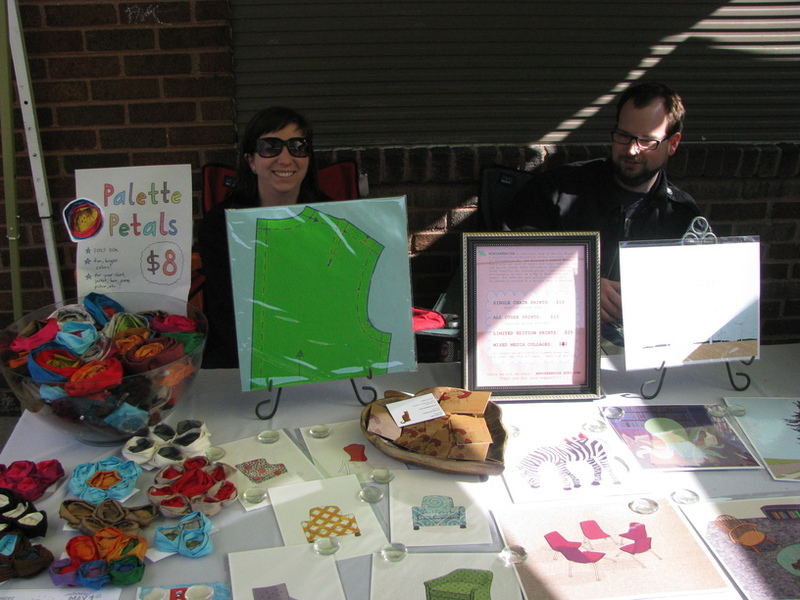 First and most exciting is that both Christine and I’s applications for booth space at the Bloomington Handmade Market in April were approved, and we’ll be sharing a table together! Yippee! I am so incredibly excited and am really looking forward to it. I also just realized that this means I’ve got a lot of work ahead of me since the show is now less than a month away! 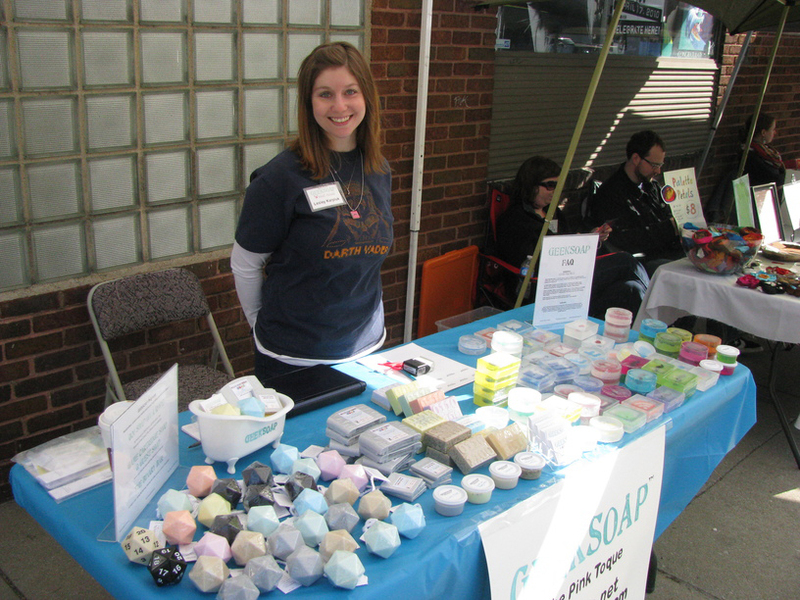 I’ve got quite a bit of soap made sitting around the house, but usually only one or two of a particular kind. 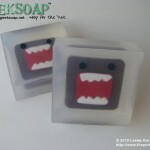 I’d like to focus on a few of the more popular GEEKSOAPâ„¢ designs to stock up on. 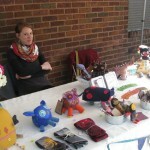 If you’d like to check it out, the Bloomington Handmade Market takes place on Saturday, April 3, 2010 from 10am – 4pm at KRC Banquets, located across from the Bloomington Convention Center on 3rd and College. 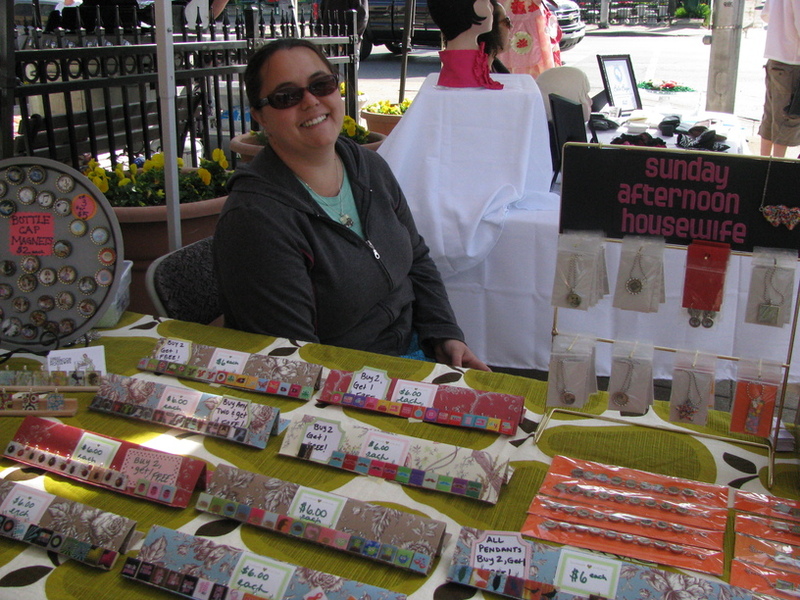 Of course you can order online anytime at my Etsy Shop, too! 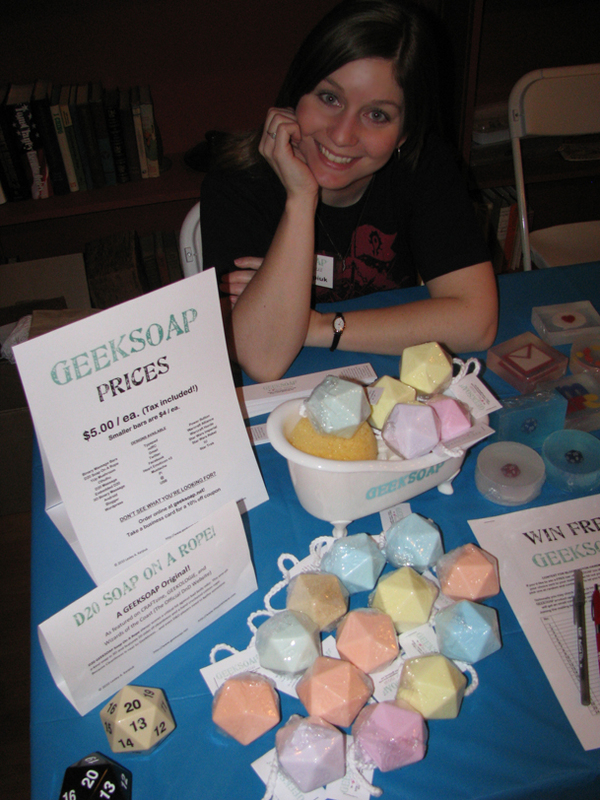 Speaking of GEEKSOAP (When am I not these days? 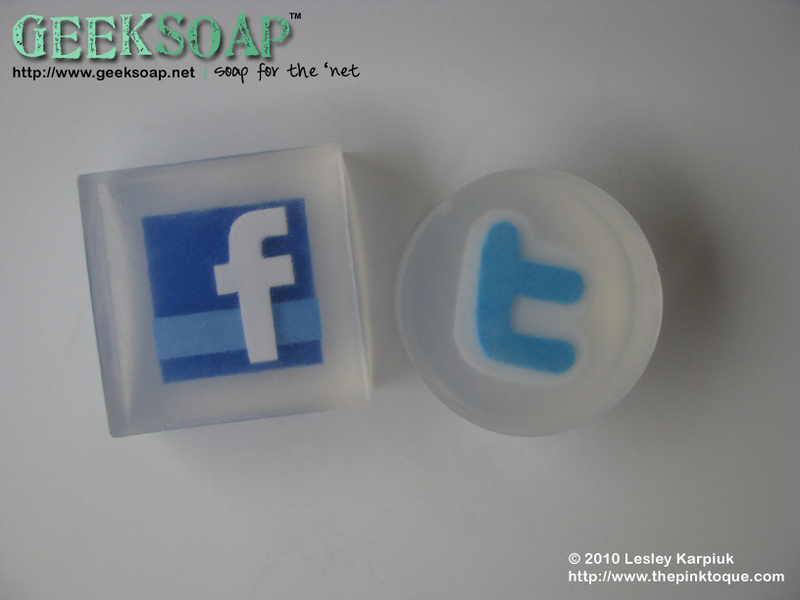 I swear I dream about soap at this point) I’ve got a few new designs for you since my last post. 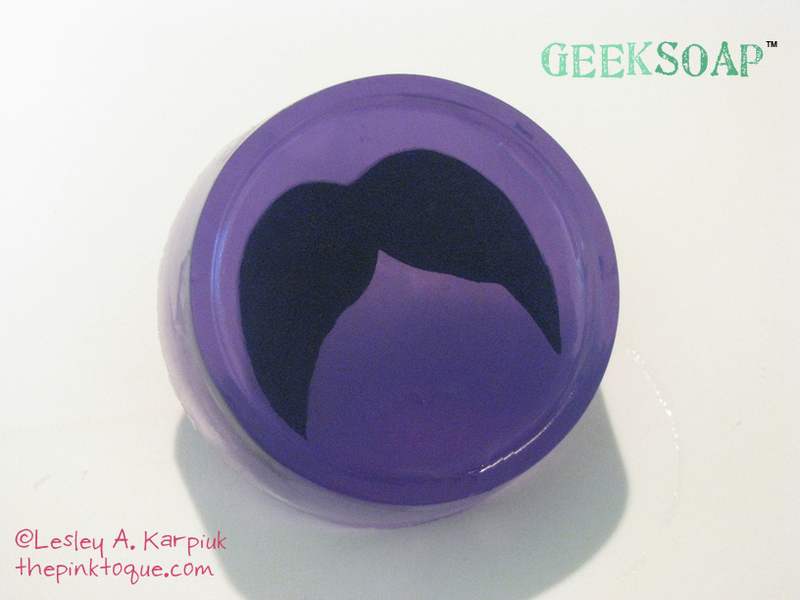 One of the more fun designs I dreamed up and brought to life in soap is Mustache GEEKSOAP. 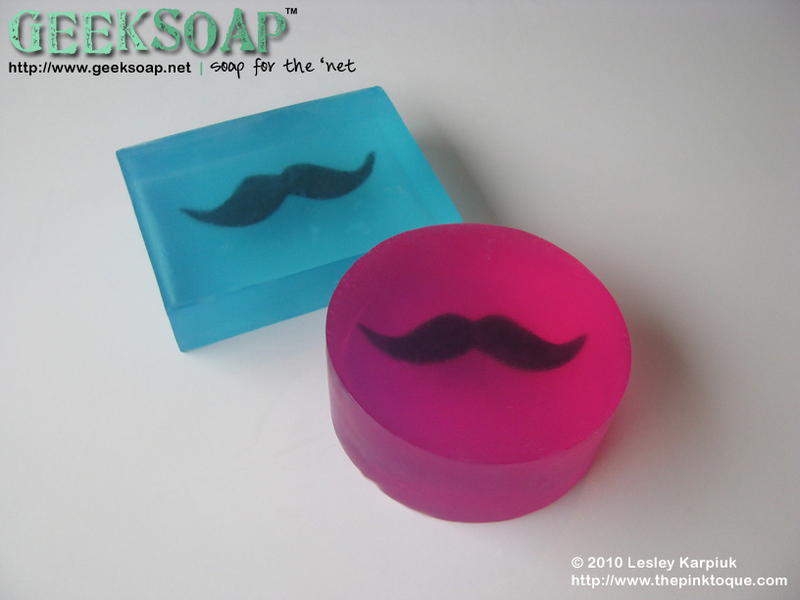 Because what could be cooler or geekier than mustache soap? That’s right… I knew you couldn’t think of anything. 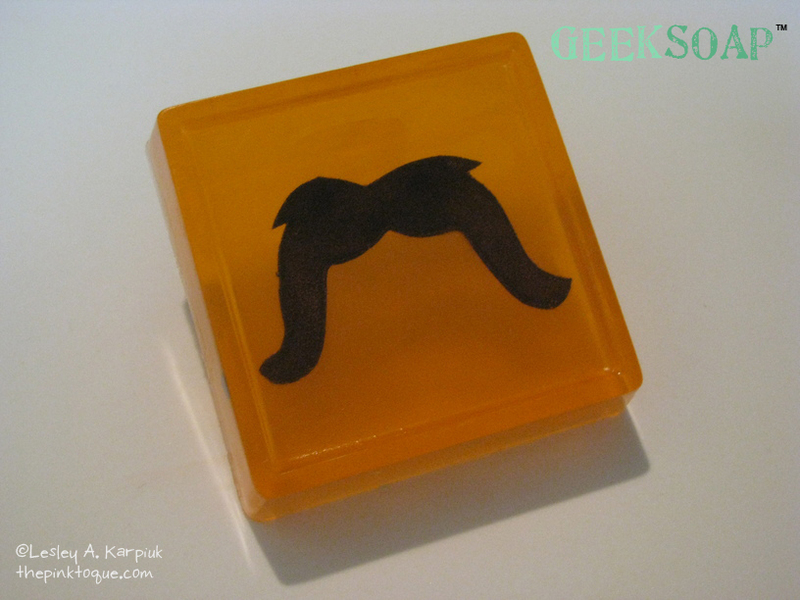 The answer is that not much is cooler or geekier than mustache soap, so be sure to check it out! 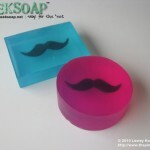 There are four mustache designs (so far) in this series – natural, classic, handlebar, and bushy. 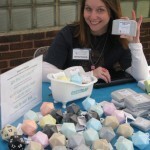 Aren’t they fantastic?! 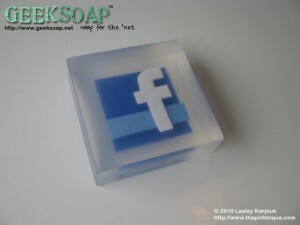 Another new design is the LOL GEEKSOAP. 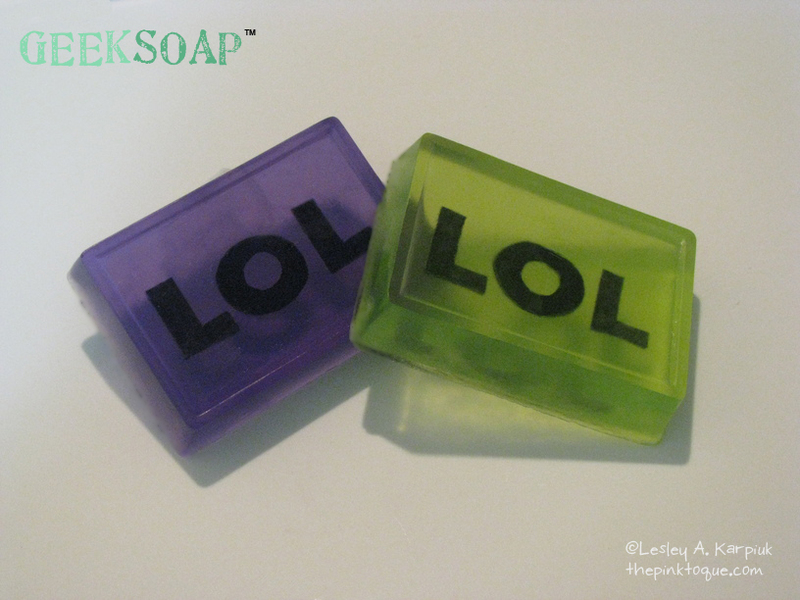 While personal hygiene is no laughing matter, there’s no reason why you can’t have a good laugh or two while in the shower with some lolsoap. 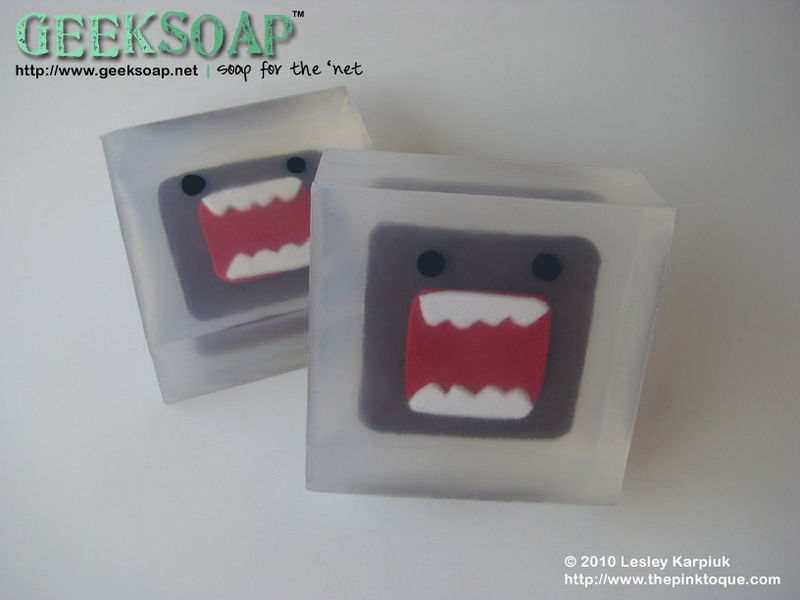 LOLSOAP! I crack myself up. Since I’m also always thinking geeky around here, I thought you’d enjoy another design of mine: the less-than-three heart emoticon GEEKSOAP! 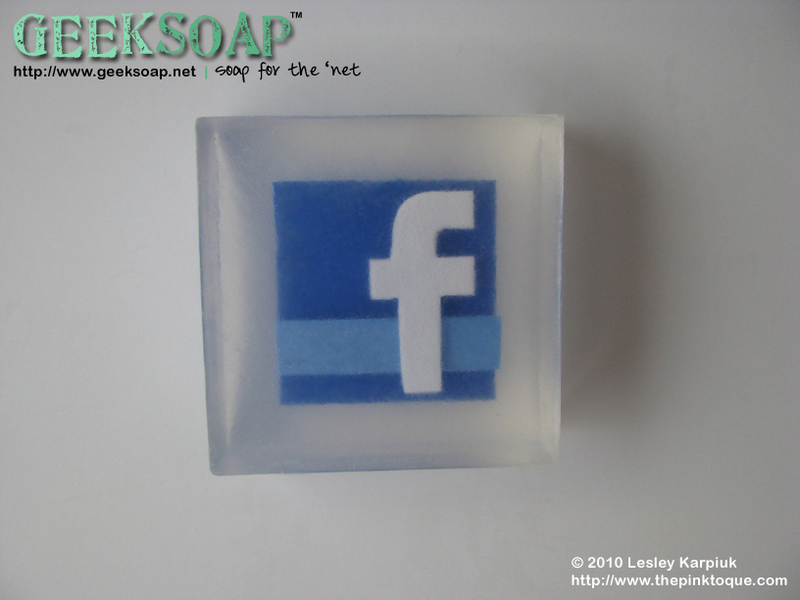 Now you can show your love for cleanliness or express your devotion to that special someone in your life by letting the soap do the talking for you. 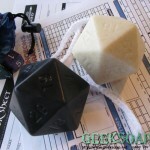 Sure to get a reaction and bound to make an excellent gift. 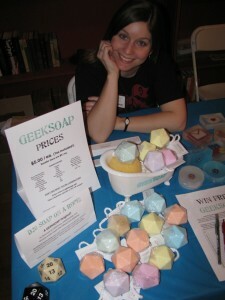 I heart GEEKSOAP! 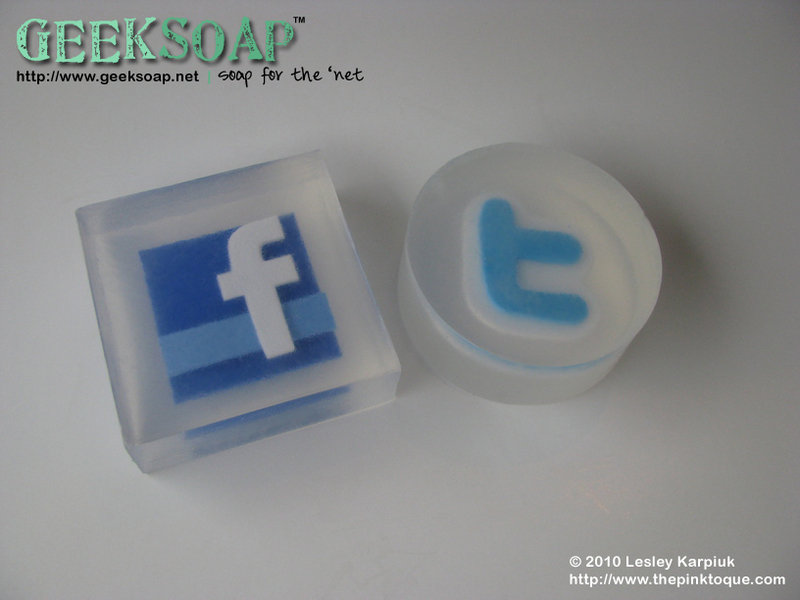 Ok so my final two new designs are my most recent, and ones I adore dearly… Facebook and Twitter GEEKSOAP! They just turned out so awesome, amirite? 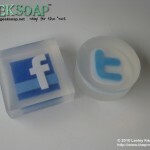 Now you can take Facebook or Twitter with you everywhere… even in the bath or shower! 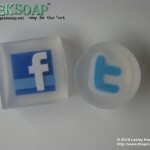 You’ll never miss a beat, and this fun soap is sure to put a smile on the faces of the social networking savvy everywhere. 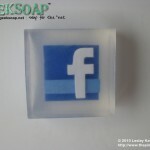 Note: FarmVille not included with Facebook soap. (Thank goodness.) Do you love them or what? 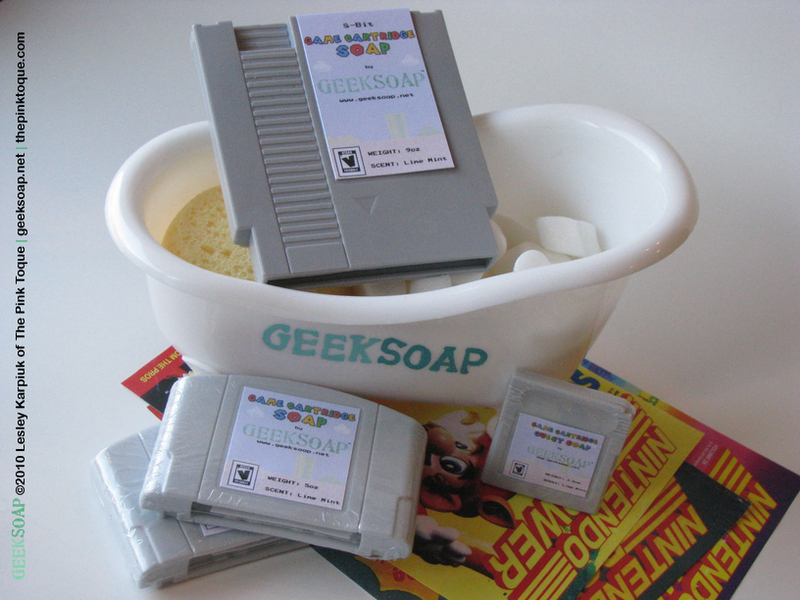 Oh, and I’m thinking of having a contest soon to give away some free GEEKSOAP – I’ll work out the details and get it going ASAP. 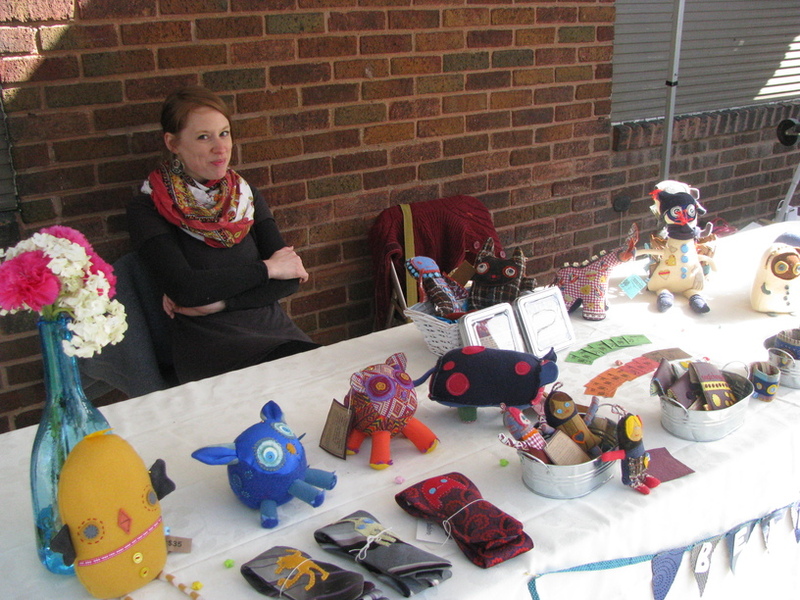 Hope to see you in April at the Bloomington Handmade Market! Have a wonderful weekend.